Make and bake gingerbread cake mix according to package directions. Cool completely. Place the pudding mix in your mixer's bowl. Pour in the eggnog. Use the whisk attachment and whisk for about 2 minutes until the pudding is thick and creamy. 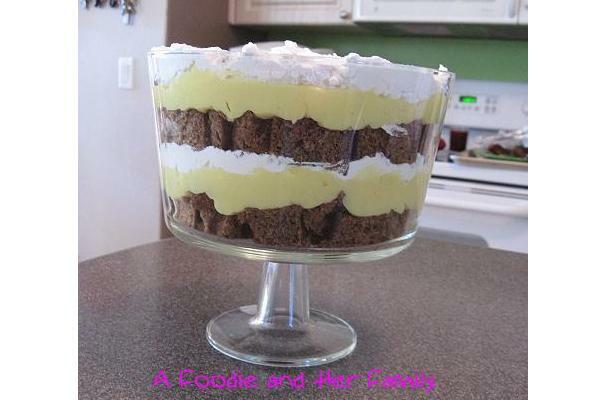 Refrigerate the eggnog pudding until you ready to put together the trifle. Place the mixer's bowl and the whisk attachment into the freezer for 10 to 15 minutes so that the whipped cream will come together quickly. Add the cold heavy cream into the mixer's bowl and whisk on high until stiff peaks start to form. Add sugar and vanilla until stiff peaks form again. Cut the gingerbread in half. I like to cube my cake so that it looks prettier in the trifle bowl. 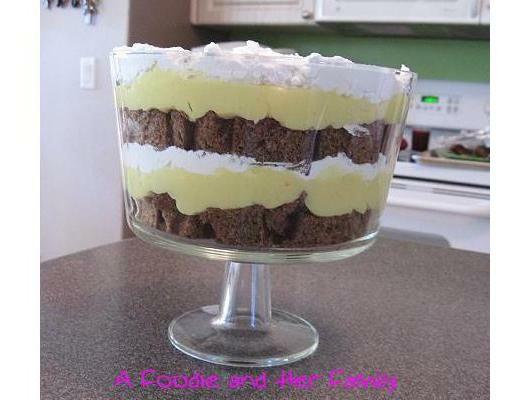 Place half of the gingerbread in the bottom of the trifle bowl. Spread half of the eggnog pudding over the gingerbread cubes. Then spread half of the whipped cream. Repeat layers. About 15 minutes before I serve it, I pull it out of the fridge and sprinkle crushed gingersnaps on top.